Rich Energy enters F1 with Haas holding big ambitions for success both on and off-track, but is its aim to beat Red Bull realistic? David and Goliath - the story of the young and diminutive David overcoming Philistine giant Goliath in combat - is seen as the perfect way to denote a typical underdog scenario. In modern times, it has become particularly popular in a sporting context. Think Leicester City overcoming the 5,000-1 odds to win the Premier League title or Japan beating South Africa at the 2015 Rugby World Cup. 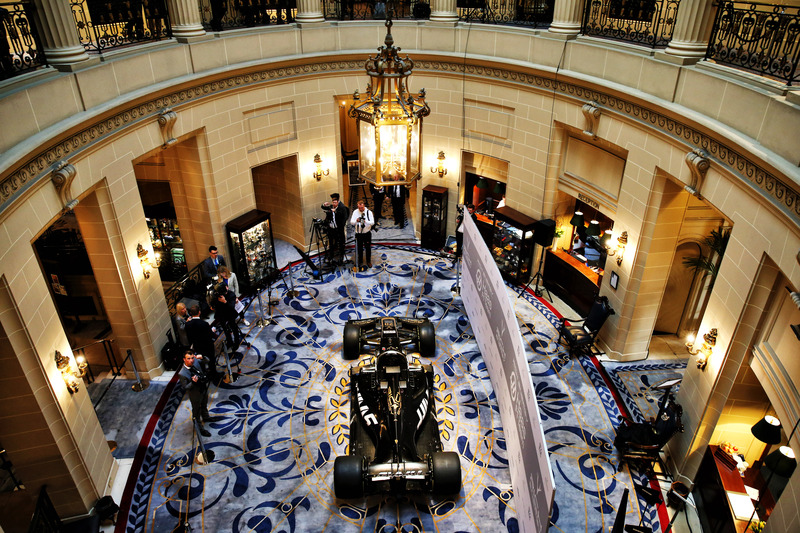 The analogy was used by Rich Energy CEO William Storey to depict its new title sponsorship deal with F1 midfield outfit Haas, as the American squad unveiled a black-and-gold livery inspired by its new backers’ branding at an event held in the lavish surroundings of the exclusive Royal Automobile Club in London on Thursday. Storey is the entrepreneur mastermind behind the little-known British drinks company looking to topple industry giants including Red Bull, Monster and Relentless. He now finds himself spearheading a new task in Haas’ bid to challenge F1’s own big guns. In his opening address during a press conference at the launch event, one line immediately stood out above the rest with its headline-grabbing appeal. “We’re looking forward to taking Red Bull on both on and off the track and challenging them,” Storey said shortly after the wraps came off the sleek new livery that will adorn Haas’ VF-19 in 2019. “I think Red Bull are a brilliantly-run business, we just feel we’ve got a better product and a better brand. “We feel there is a little bit of apathy and dare I say hubris in the market place, and we think we’ve got a real opportunity to beat them. The bold and ambitious target set out by Storey, who claims Rich Energy has already taken “huge” business away from Red Bull in the energy drinks market, has been backed Gunther Steiner, the man charged with leading Haas’ relatively new venture in the sport. “We started from nothing and put a lot of work in to make points in our first race, which nobody would have ever envisaged that it would have happened,” added Steiner, who has acted as team principal of the US squad since its F1 debut in 2016. An initial start-up formed by computer consultant Storey six years ago, Rich Energy has developed its hard-to-find product on the grounds of its self-described “cutting edge” £50 million UK manufacturing facility. Its name took inspiration from Richmond, the area of south-west London in which it is based, while the stag - which forms its logo - is an homage to the deer that roam freely in Richmond Park’s national nature reserve. Rich Energy’s rise has seen it strike up partnerships with the likes of Santander, Pirelli, Hugo Boss and Premier League club West Ham United (whose billionaire co-owner David Sullivan is one of its seven backers) in recent years. Doubts have been raised over the legitimacy of the company and its financial situation, following a failed attempt to buy out the beleaguered Force India squad when it fell into administration last year, though Storey has been quick to hit back at such concerns. 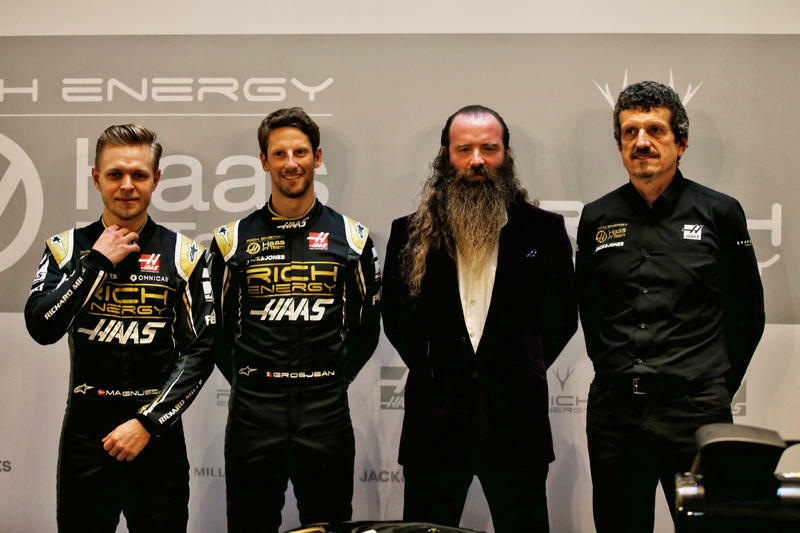 Rich Energy subsequently held talks with a number of F1 teams including Williams and ultimately agreed a title sponsorship deal with Haas in October last year. Though no financial details surrounding the deal have been made public, Danish newspaper BT recently reported that Steiner said a payment had already been received. Storey, an avid supporter of the sport and fan of “hard-charging Brummie” Nigel Mansell, insisted Rich Energy is in F1 for the long-haul and believes it has found the “dream partner” in Haas. “We haven’t got where we’ve got by following the crowd," he explained. "We are a bit contrarian by nature and when others are fearful, be greedy. “There’s been an awful lot of talk about ownership and previous regimes and the future but I think ultimately it’s going to remain the pinnacle and long-term it has a brand value. “F1 is just unprecedented in sport and therefore for us it’s a great platform and we intend to be in F1 long-term. “By every metric they were vastly superior,” Storey replied when asked by Crash.net what was the biggest appeal of Haas. “In terms of that they have the best business model in the sport, they are uniquely positioned to exploit regulation changes. I think they are run in a very, very unpretentious fashion and I think they are proper racers. “It’s fantastic for us as we look to push forward and we feel there is an enormous amount of synergy between the companies and this is very much the beginning of Rich Energy in Formula 1,” he continued. “We’ve tried to get into F1 many times over the last 18 months, we tried to buy Force India, and that was an interesting story but ultimately we spoke to a variety of teams and we felt that Haas were head and shoulders above the competition in almost every metric. Similarities can be drawn between the Rich-Haas collaboration and Red Bull’s own beginnings in F1. 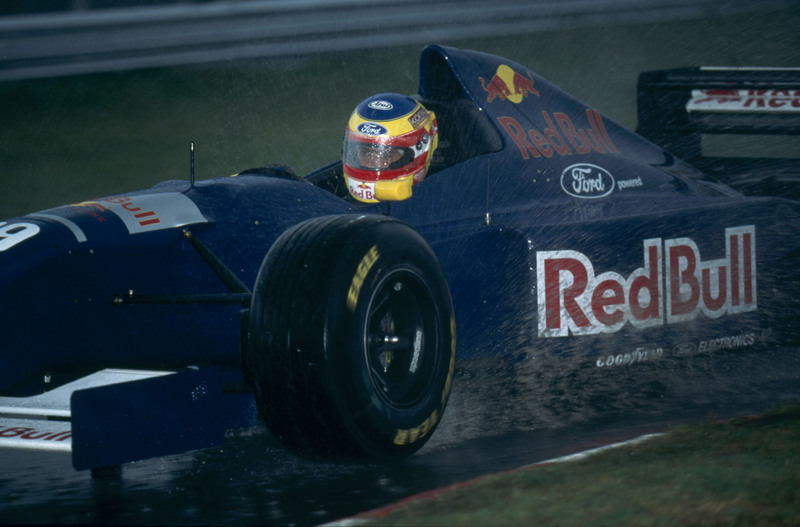 The Austrian beverage company’s involvement in the sport dates back to 1995, when it first sponsored Sauber in line with the vision of founder Dietrich Mateschitz. Following the purchase by Ford of Jackie Stewart’s Steward Grand Prix racing team in 1999, the American marque rebranded as Jaguar Racing to promote the premium car company, ultimately paving the way for Red Bull to purchase the team in 2005 after five difficult years featuring little success. Progress was slow and steady but 2009 proved a breakthrough year for Red Bull as it claimed its first grand prix victory and finished as runners up in the constructors’, before going on to enjoy a prolonged period of success in the early 2010s with four consecutive team and driver titles. In just three full seasons competing in F1, Ferrari-powered Haas has heralded year-on-year improvements: finishing eighth in its debut campaign, doubling its points tally in 2017 and going on to seal fifth place behind only Mercedes, Ferrari, Red Bull and Renault last season as it recorded more than triple the amount of points it scored in 2016. A pioneering low-cost model, including a far-reaching partnership with Ferrari that has drawn controversy amongst rival teams, has proven successful in Haas’ bid to cement itself as a leading force in F1’s midfield battle. Ultimately, things could have been even better for Haas in 2018 had it capitalised on the true potential of its package, having boasted arguably the fastest car out of the midfield runners. Its 29-point deficit to Renault could have been made up without a disastrous double pit stop blunder in Australia and if Romain Grosjean had averted his barren and mistake-ridden start to the season. Steiner is confident Haas has learned from the mistakes it made in 2018 and has targeted to reach the level of consistency managed by the likes of Renault in the upcoming campaign. But could F1’s new kids on the block really overthrow Red Bull as early as this year? If, theoretically, Haas produce another competitive package and leapfrog Renault in the standings, it could find itself breaking into the surprise position of F1's top three should Red Bull’s Honda gamble backfire and if the revised aerodynamic regulations influence the pecking order in its favour. In reality, such a combination of events falling into place over the course of a single winter break seems unlikely, if not entirely beyond the realms of possibility. However, the signs are promising for long-term success and as Steiner argues, you have to start somewhere. “If you have no targets, you never achieve anything,” Steiner said. “They [Red Bull] are good in racing, they are very good, but you never know. “Last year, I think we had the fourth-fastest car, we finished fifth, I know about that, but the next one up was Red Bull. We can try. Haas’ drivers share similar views, with Grosjean believing that beating Red Bull is a realistic “long-term” ambition, while Kevin Magnussen insisted there “is nothing wrong” with having big aims. “I doubt that it will be this year, but in the future no-one knows what the future holds,” the Dane added. 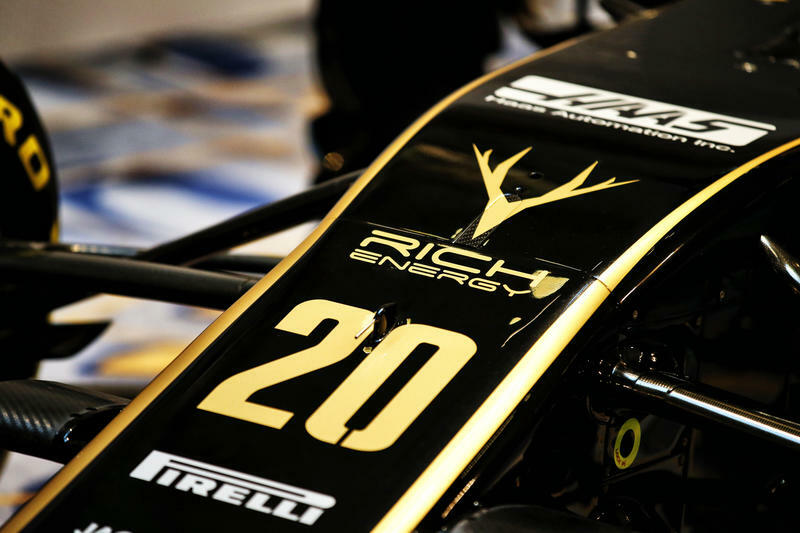 Rich Energy’s ambitions for Haas might appear far-stretched at present but only time will tell whether F1’s latest energy drinks collaboration proves to stimulate world-beating form, or be little more than a short-lived boost.